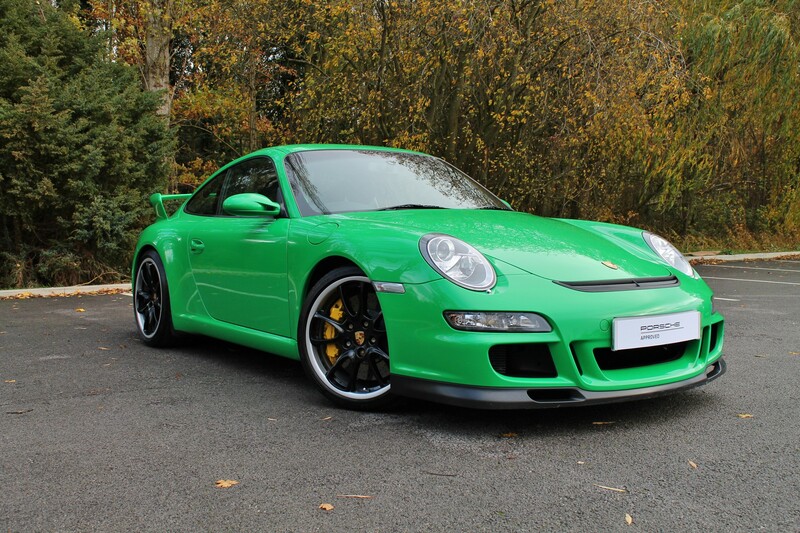 For anyone that is in the market, Wilmslow have a the above car with PCCB, 17k, and looking at it, looks in great condition. It's going on the web tomorrow so thought I'd share it here so if anyone was interested, they could get the jump on it. Can't imagine that there that many Viper Green GT3'S out there. JZM have one for about £6K less in guards red but with double the mileage for £86K. Aaaaaggghhhh!!! That'll be sold by the weekend! Can admin please delete this thread until I've sold everything (apart from my cars obviously) and got it in my garage. Move along - Nothing to see here!!! Possibly the only colour better than yellow, GREEN!! Mmmmm, looks lovely, do you think my wife would notice if my white 987 Spyder turned into this??? You'll be fine jimmy, just tell her its been wrapped. 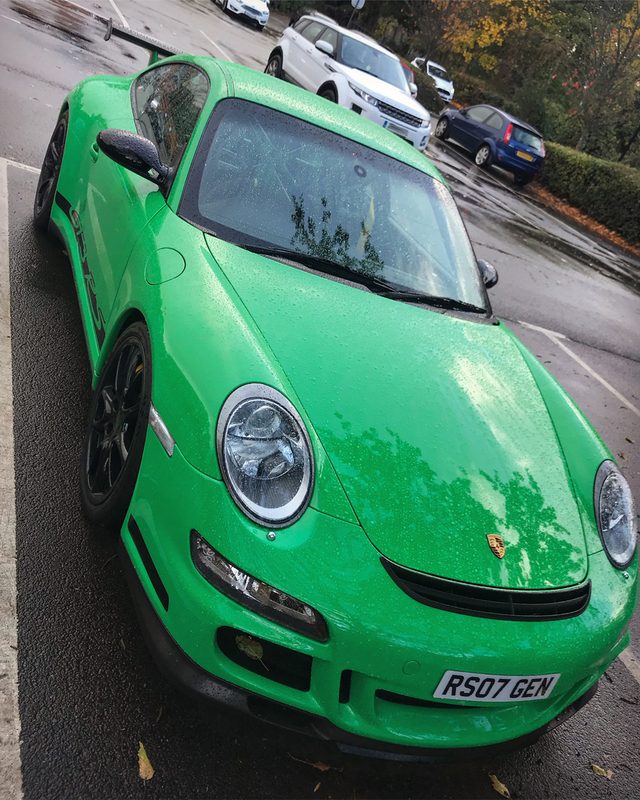 Sorry to say but I don’t think the cooking GT3 carries that colour off very well. 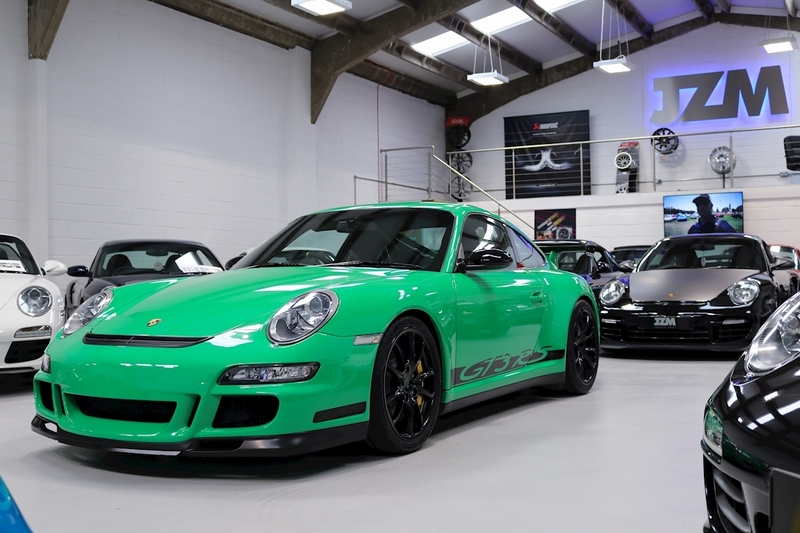 Only the RS can wear green. The "cooking" GT3 is trying too hard. I think an RS stripe would look good on that and all black wheels? Viper is one of my fave colours ever in Porsche. It needs the decal and black spoiler to break it up. Silver rim does look awkward. Yes, I agree it needs the "GT3" or "===PORSCHE===" decals for the sides. Don't think I've seen a Gen1 with a black spoiler though. The polished rim on the wheels is growing on me. 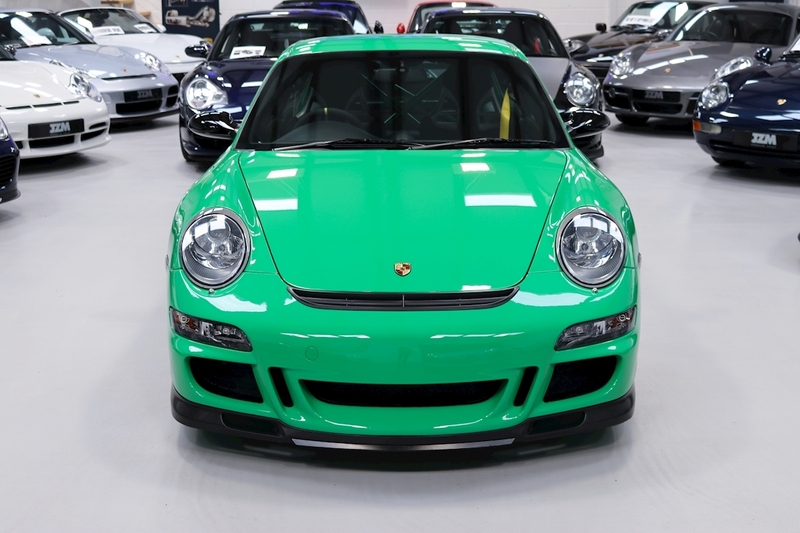 Seems a good spec with Carbon Buckets, PCCB, Sound Package Plus (Bose not being available) and only 2 previous owners (not the 4 shown on the website). Anyway, deposit placed and I'm on the train to Manchester on Sunday to seal the deal. They've sent me a couple of vids of all round and underneath the car and it's just had its 111 point check and a few new bits n bobs (battery etc) as well as a major service with s/plugs. Oh and a new front splitter as it's a bit scuffed. Lucky man, I say black mirror cases would help. Congratulations! You knew it made sense as the green ones don’t come around too often. The colour looks stunning in the flesh! Good spec too. Look forward to hearing how you get on. Thanks guys! 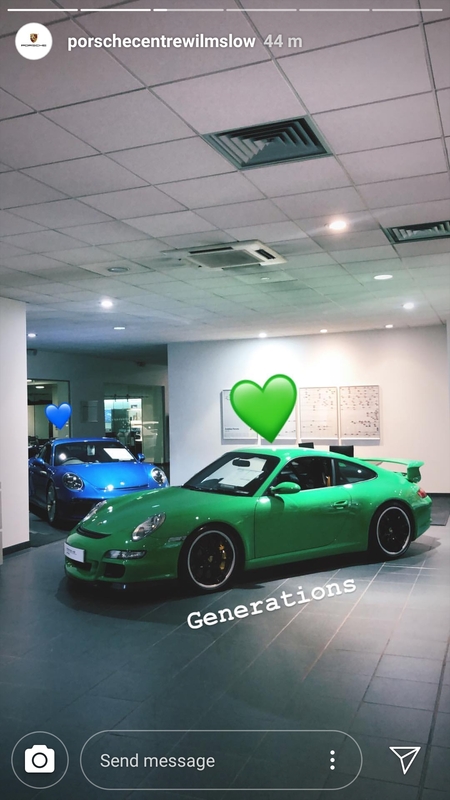 I really like the orange too but I think the green is rarer and don't seem to come to market as often - the last green one on the market was around 7 /8 months ago iirc. I think it's Signal Green but everyone seems to call it Viper. I think I'll call it Kermit! !